We live in a digital world, are always on the move with smartphones that allow us to do our tasks, with extremely sensitive cameras capable of capturing images in high resolution, but when it comes to keeping our pictures, we still prefer to have them in our hands, place them somewhere visible as a memento. 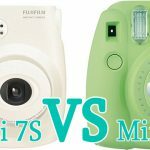 That is why the instant photography offered by Fujifilm with its Mini line has become the bestseller. 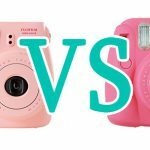 Nowadays, it is very easy to find an instant camera that can cover our needs of use, and above all that allows us to have in those small boxes each one of the memories that we have stored. 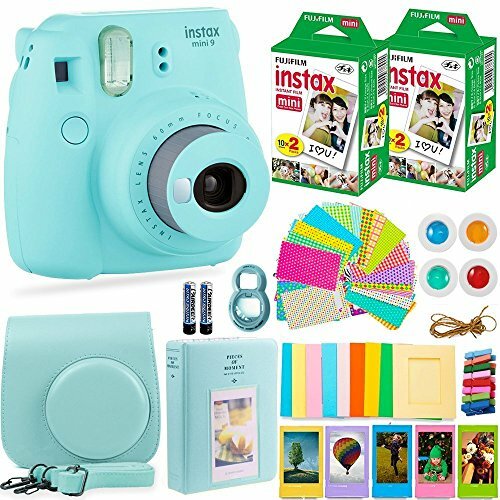 Mainly also because we need an instant camera, which can be easy to carry around and at the same time can be as a real alternative to digital photography and, these cameras are precisely designed, so that you can take pictures quickly without any obstruction. The models that we will compare in this article, with their pros and cons, are the best example of the Mini format especially with the capacities that can be obtained creatively using these cameras in different circumstances, and these in turn, due to their size can easily be taken everywhere without being too much of a hassle, quickly becoming the center of attention wherever you are. Before entering directly with the comparison, it is necessary to understand first that both the Mini 9 and the Mini 90 share the same characteristics with respect to the lens, aperture, and ISO sensitivity. Therefore, both cameras have a fairly similar image quality, mostly what varies is the features offered that we will compare later on. 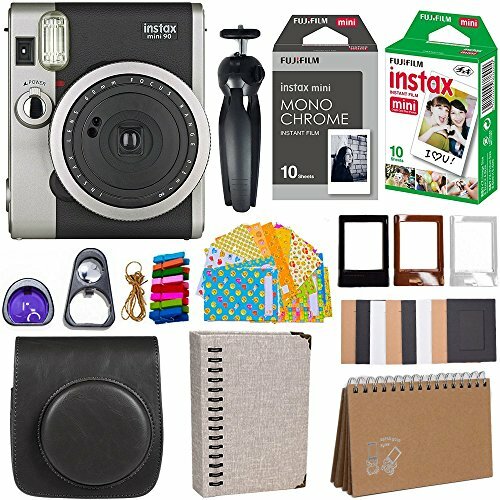 The Instax line is characterized by offering very easy to use cameras since the idea is to make a few adjustments and immediately take pictures of that moment. Therefore, finding their controls is not very difficult, as they are easily identified within the body of the camera, also with clearly distinctive drawings. Both cameras bring user manuals, quite simple and to understand the operation. 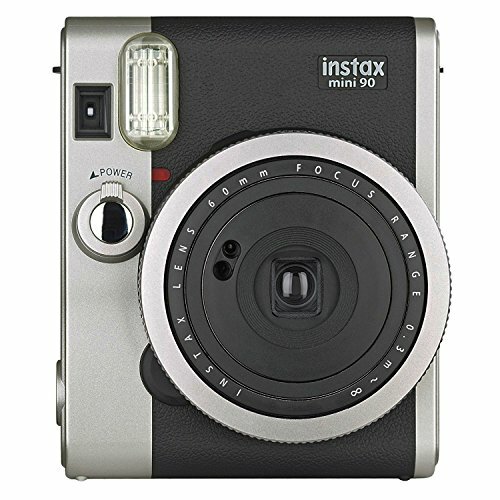 It should also be noted that in this case, the communities of Instax Camera users on the Internet are very large, and they always have direct recommendations for users seeking to become familiar with these cameras for the first time. Being the most basic model, it has a very accessible price point, not exceeding $60 in many distributors, which makes it very economical for its purchase and constant use. In fact, this plays in their favor, when it comes to having greater availability in much more recognized chain stores, in a more ubiquitous camera and, above all, more popular due to its ease of use. Made as a camera with a much more social use for a younger generation of users, this translates that it comes in various designs with different colors, which makes it very striking and distinctive at the time of being able to combine with the style of the person who wishes to acquire them. The colors available are Lime Green, Cobalt Blue, Ice Blue, Flamingo Pink, and Smoky White. Taking advantage of the capabilities of the lens, with an attachment included inside the box, you can quickly make self-portraits with this camera in a very simple and fun way, by means of a lens modification. You can include many more people inside the box and make a group selfie very easy with the advantage that the final result is in your hand. 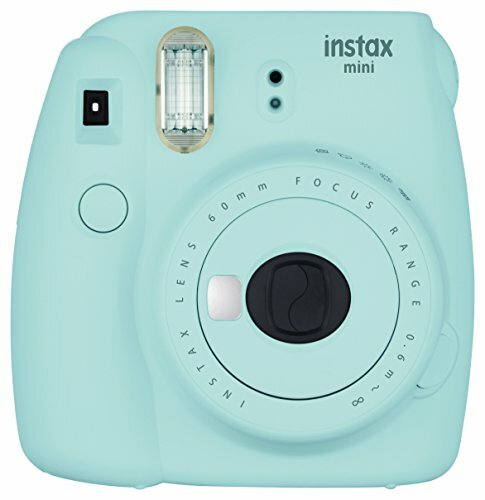 The great advantage of this camera, being the highest spec model within the Instax Mini line, is the ability to control flash at will, and to compensate the exposure in variations according to the situation where it will be used. The camera has several modes in which the automatic exposure allows to calculate the existing light and especially generates the best result. But there are cases in which to control the flash it becomes fundamental, since the film has a sensitivity of ISO 800, which means that the final results tend to overexpose the frame, using these modes we can better fit the image and have a more extensive control of the situation and being able to generate better results. This model, in particular, uses a battery type similar to other Fujifilm cameras of their digital line, allowing the one that was being used inside the camera could easily and quickly be recharged and then placed again in the camera, the approximate life of each battery recharge is 100 shots depending on conditions. Also included in the box is the corresponding charger for this battery model. Multiple Exposure and Long Exposure are the main features that this camera has to distinguish itself from any other instant camera within this line. In the case of the Long Exposure or “Bulb” mode, to be able to regulate the exposure time of a maximum of 10 seconds allows you to quickly experiment with techniques such as Light Painting, Movement effects and an infinity of tricks to be able to give your images a really high creative quality at your fingertips. On the other hand, Multiple Exposure allows you to superimpose one image on another; this is quite useful when playing with effects of this kind made in cameras of other formats, such as ghostly effects, cross-images, and other results, that put this camera with an offer for flexibility to the user. Having the ability to make long exposures, the camera also has the possibility of connecting a tripod base to maintain a much more stable position when using each of the features available, which makes it much more capable for different situations in which keeping the camera fixed is fundamental. It also helps us when we have the timer mode, so we can install the camera in a location in order to include ourselves in the photo. A very close picture of a subject is always striking photograph is the one that uses the macro mode. In this modality, we have the camera adjusts its focus ability much closer. At a minimum focus distance between 0.3m and 0.6m, this mode makes much easier to capture those images so close that they can look fascinating in the instant format. Additionally, we also add that the sight is adapted, to be able to correct the parallax effect due to the proximity. One of the most significant advantages that this camera has is the small screen where information about counting of pictures is available to take photographs is shown, as well as the selected mode that is being used at the moment. This ends up being very useful on everything to keep information in the moment so as not to have to be distracted from taking the picture. One of the particular advantages that also stood out is it offers us the flexibility of being able to adapt the camera to use it both in portrait mode and in landscape mode. This means that the camera has two buttons in which the camera is positioned in a vertical or horizontal way, in order to better capture the frame, this should help us primarily when we use both the double exposure and the long exposure mode, to be able to use the camera more creatively, to capture more significant results. Due to one of the characteristics of the camera, the flash is directly linked to the exposure calculations so is always on, the only moments where it does not fire is when the light exceeds the capacity of the flash itself or in the Hi Mode key which temporarily disables it to make way of a better exposure compensation. Being a basic model camera, it is only capable of operating as essential as possible the functions that allow the capture of images, so that exposure controls and other types of options are not available in this model. This model uses batteries of the AA kind, which are easy to access and they are even included in the box, the problem of this means that due to the high demands of the flash, plus the printing of the photo itself, the life cycle of these batteries can easily see reduced to just a few cartridges. The manufacturer indicates that under ideal conditions, you can use up to 100 shots with two batteries; the problem is that these conditions vary, and often end up having a shorter duration. It is recommended in this case if you buy this model, buy rechargeable batteries that can last a little more without having to incur additional expenses. As the higher model of the mini line, it costs as average, two times more than the mini 9, but due to its characteristics, this can be considered when it comes to paying it. This camera does not include this attachment in the box, because due to the ways of use and in general of the construction of the camera by itself, it does not seem to be entirely made to use this attachment. It includes a small mirror to make the effect but sometimes the final results cannot be as satisfactory. However, there are manufacturers who make versions of this mirror for this model of camera, which can be easily adapted. They do not have the same quality as the originals created by Fujifilm, but they serve to solve the inherent curiosity of users who want to experiment with the different modes of this camera with this attachment. Something that could be considered a severe disadvantage of this model is that like the Mini 9, it has the characteristic of having fixed shutter speed to the exposure modes. The main problem in this model is that the speed to be fixed only in 1/60 of a second, except in the long exposure mode, which can be problematic to capture much faster action. It is something that must be taken into account especially at the moment of taking the photograph, but given that this model is precisely made for photography enthusiasts who can adapt to the circumstances given by the camera the limitation can be quickly surpassed. 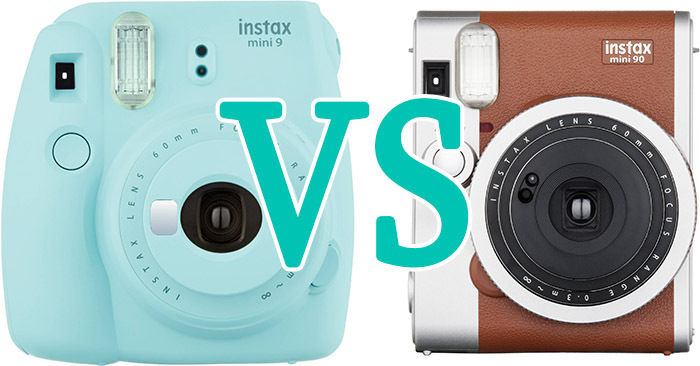 To summarize, both cameras are quite competent to capture images in the instant film format, for which they were designed. The difference lies mostly in what the end user wants, and what it wants to obtain to give your images and especially what you want to get with them. If you are looking more directly for a basic model that allows you to capture images in a short time and without any controls, the mini 9 is ideal for you, since it is compact and flexible enough to be able to obtain perfect results of all the time. On the other hand, if you have a much more creative inclination with the instant images you want to get, the mini 90, on the other side, is the best model that can extract the most significant capabilities of the instant mini format taking it to a new level. As mentioned earlier with a capacity to control the flash, make multiple exposures, long exposures among other features, you can quickly get results that can push your small photograph to the limit, making it the ideal model. At the end both models offer the best of Fujifilm quality for the instant format, with the lowest cost and technical capacity, and confirmed widely available in any specialized store. Additionally, we must indicate that there is also a line of accessories that is universally compatible with both cameras. Accessories such as belts, bags, photo albums among others, are part of the range of available accessories that both cameras can use, so the limitations of applying them only in the capacities that you want to achieve with one of these models.